Both robots cost 400 yen each and will roll out 2/5/2013. 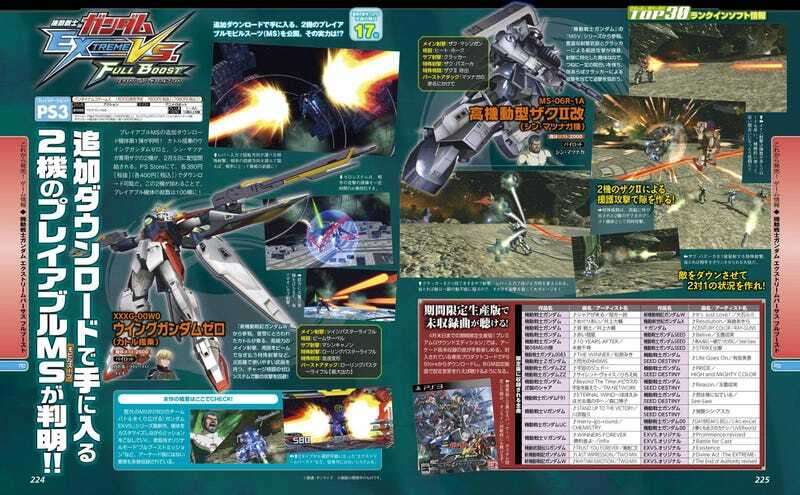 Mentioned in the pic is the Wing Zero TV version as piloted by Quatre (Remember that Gundam Wing episode when Quatre went crazy when he test-piloted Wing Zero?? This is it) and Shin Matsunaga's Zaku-II (a character and robot from the MSV stories, similar to Johnny Ridden). So far, it's shotoclones of the Heero-piloted Wing Zero and Johnny's Zaku-II.